On Saturday, May 17th the Putnam County Young Republicans hosted their 3rd Teddy Roosevelt Dinner at the Putnam County Golf Course. This year the club honored Dr. Nan Hayworth, former member of congress for New York’s 19th Congressional District. With nearly 100 in attendance, the club lauded the former law maker for her leadership and strength while serving in congress. Nan thanked Byrne and the audience for the honor of receiving this year’s Teddy Roosevelt Leadership Award. Previous recipients of the award include former Putnam County Legislator Dan Birmingham and Putnam County Clerk Dennis Sant. Attached below is a copy of the video from U.S. Senator Rand Paul. 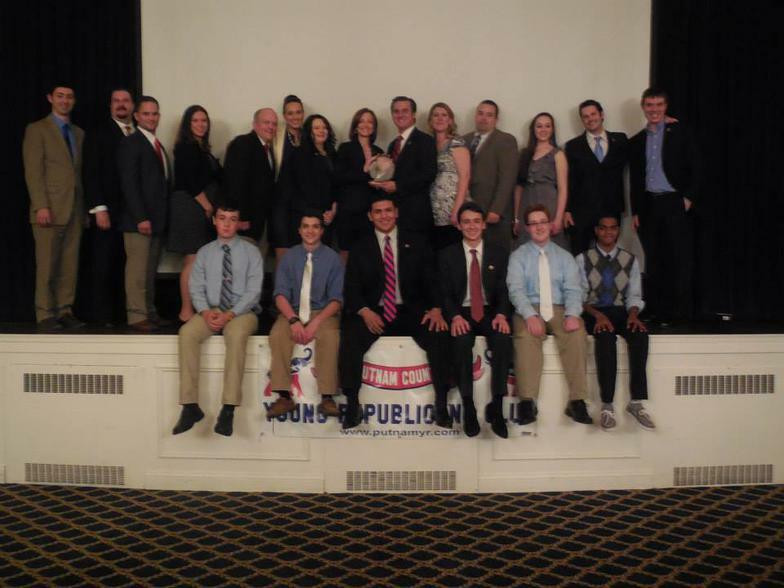 Also attached is a picture of Dr. Hayworth featured with both the Putnam County Young Republicans and members of the Carmel Ronald Reagan Teenage Republicans.